Address: Block No.9, Sector 17 A, Chandigarh 160017, India. 149 guestrooms. 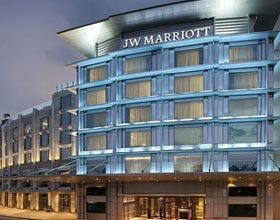 Taj Chandigarh feature minibars and coffee/tea makers. Wireless Internet access is available for a surcharge. Bathrooms feature bathtubs or showers and hair dryers. In addition to desks and safes, guestrooms offer direct-dial phones. 42-inch plasma televisions have satellite channels and pay movies. Rooms also include clock radios. Taj Chandigarh include 2 restaurants. A bar/lounge is open for drinks. Room service is available 24 hours a day. Recreational amenities include an outdoor pool, a health club, a spa tub, and a steam room. 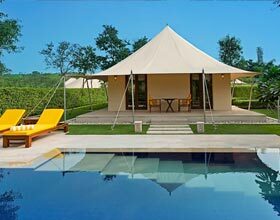 The property's full-service health spa has body treatments. 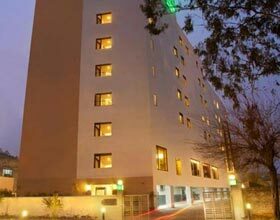 This hotel has a business center and offers secretarial services, audiovisual equipment, and business services. Wireless Internet access (surcharge) is available in public areas. 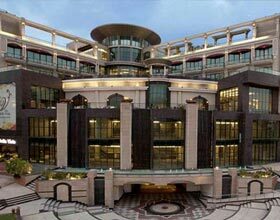 Taj Chandigarh has event space consisting of a conference center, banquet facilities, and conference/meeting rooms. For a surcharge, the property offers a roundtrip airport shuttle (available on request). Tour/ticket assistance, translation services, and tour assistance are available. Self parking is complimentary. 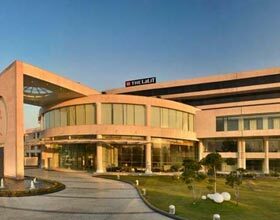 Taj Chandigarh is a located in Chandigarh, close to City Museum, and Rock Garden.